Recently, I was traveling from San Francisco to India, and had a 16 hour layover in Singapore. Traveling with my fiancee, we decided to spend some time exploring the city. Firstly, Singapore Changi airport is gigantic. It is way bigger than other airports I've seen, and not by a small margin. You can actually spend 12+ hours just exploring every corner of the airport (if that kind of thing interests you). There are also city tours offered from the airport itself, so it's really nice. Lots of facilities in the airport including hotels (that are almost always booked, so reserve early) and lounges - that are reasonably priced. There were many small gardens inside the airport with some tiny pools, and special areas specifically designed for kids to play. Of course, there were tons of places to shop. We took a lounge, slept for some time, showered and left the airport around 6 am in the morning. Taking the Singapore SMRT (the metro-rail), we left the airport. Our first stop was Little India. 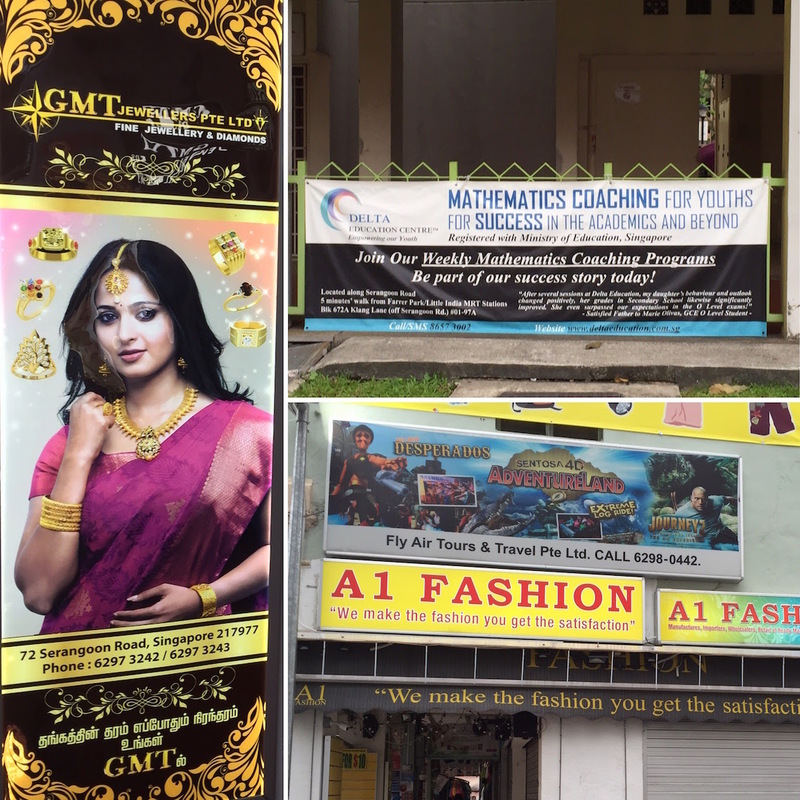 Walking through the streets of Little India, it felt like I was almost in India. There were temples, lots of food-stalls and ads selling things like jewelry and maths tuitions. We went to Saravana Bhavan restaurant (classic vegetarian South Indian) for breakfast. We had a heavy breakfast including idlis, dosas and puri. It was fresh, simple and tasty. If you're into Indian food or vegetarian food, definitely check-out this place. We then went to this alley sort of place where there were a lot of similar looking food stalls. We stopped at a food stall called Zam Zam Muslim Food. This is where my finacee had paratha and chicken curry - both of which were delicious (and inexpensive). If you want to have Indian food or non-vegetarian food, you should check out these food stalls. And lastly, we went to a temple. It was more out of curiosity than for worship. The temple itself wasn't very huge - but it did have the idols of number of Hindu Gods. We then wandered into China Town which was really located next to Little India. It was actually around the Chinese New Year time so we got lucky and saw a lot of decorations on the street. Walking along, we came across the Buddha Tooth Relic temple. The exterior of the temple was very fascinating, so we decided to go check it out. I'm so glad we did, because the interior of this place is so intricately and richly designed. We saw a lot of Buddha statues carved all over the interior walls and the entire temple was decorated with flowers. The ceiling of the temple was also decorated with pretty lanterns - giving it a beautiful glow. So amazing. Must-see if you're in China Town. There was of course a shopping complex nearby where you could buy a lot of touristy things. It felt very Singapore, but also very Chinatown-esque. Soon after we took the SMRT again and headed to Gardens by the Bay. Gardens by the Bay is a huge contrast after China Town, and it felt like a pretty park in the midst of a concrete jungle. The first thing you'll notice is the huge tree like structures which are now an icon of Singapore. We walked around these gardens, saw a very pretty lake, took some pictures, and then decided to go check out the two famous conservatories in these gardens - the flower dome and cloud forest. Welcome to the biggest collection of flowers you'll ever see. Honestly, I had never seen such a wide variety of flower blooming plants in any other place. 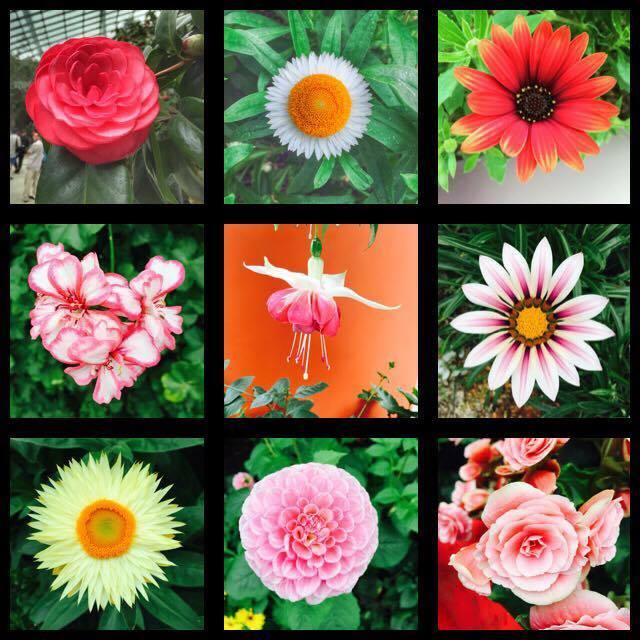 Ordered according to the climate where they grow, this flower dome had flowers right from dry, arid regions to tropical hotspots to colder temperatures from all across the world. I really cannot emphasize the scale of this enough. Just go and be awed. Even if you are not a flower person, you'll have a great time. Just go. On entering the cloud forest the first thing you'll see is this huge man-made waterfall. I mean it's so tall that you have to look-up to find where it's originating from. I had mixed feelings on seeing this waterfall. On one hand, you can't not be amazed seeing the scale of it - but then you know, it's not natural, so it'll never be as pretty as what nature would've made it. The entire cloud forest is mountain sort of structure, where you can walk from the bottom to the top. It is a replica of how a typical tropical rainforest would look like. Not as good as the real one, but still very nice. It did remind me of the Osher Rainforest, which is another indoor man-made rainforest in San Francisco. I can't say I have seen a lot of Singapore - but the little I've seen is impressive. 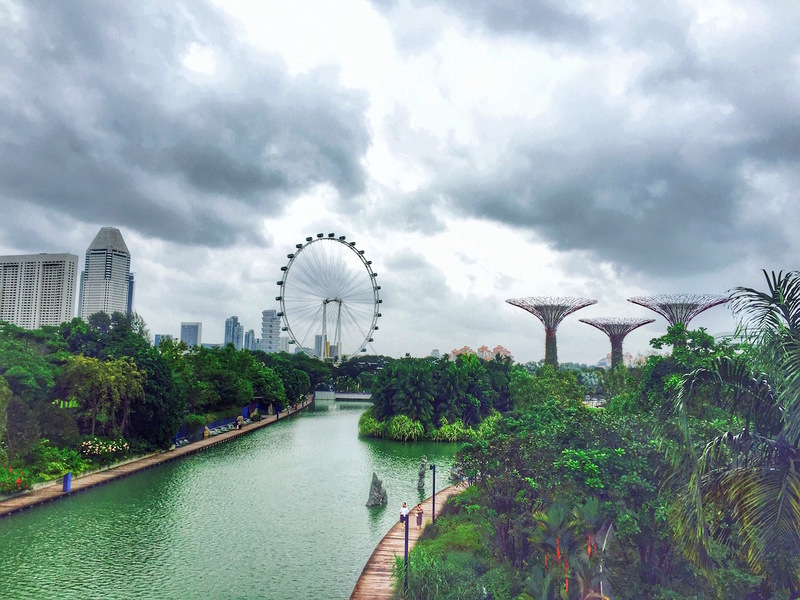 Despite it being a concrete jungle, the efforts Singaporeans have made to make it the "City of Gardens" is terrific. The SMRT is super efficient and pretty modern (I mean you can even report incidents via Whatsapp - how cool is that!). The next time, I do want to spend more time exploring the city, and enjoying the culinary delights it offers.